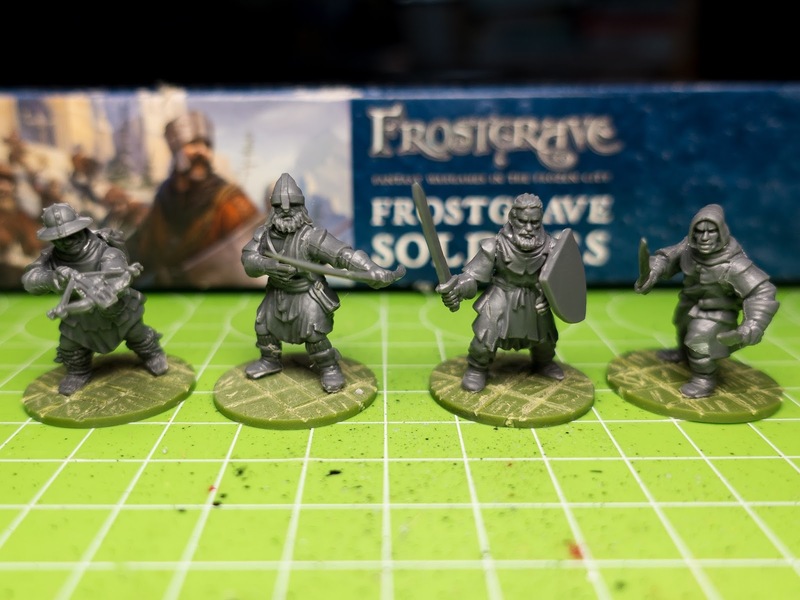 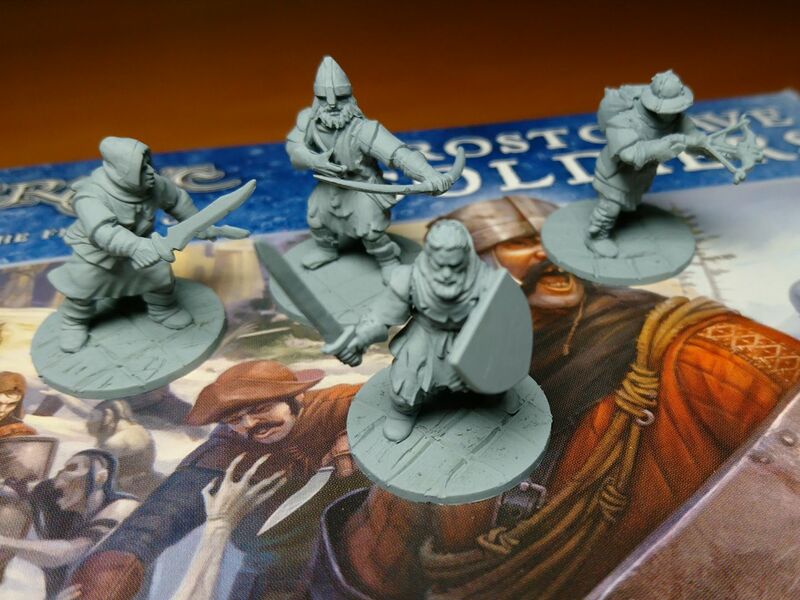 The plan was to assemble and paint some Frostgrave soldiers despite a lot of work outside this hobby. Monday: Assembly of four plastic miniatures from the multi part box of Northstar. Stone plates engraved with a scalpel in the bases.